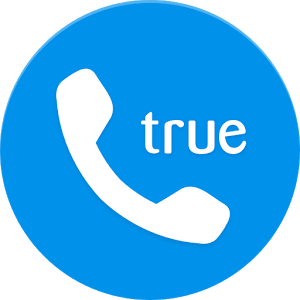 Truecaller premium is one of my favorite app to track accurately any unknown numbers. I really happy to see that you write regarding this briefly. Keep writing. Pero a mí nunca me aparecen las imágenes… Por eso prefiero CallApp. De hecho me parece superior. We need Turkish lang, please. Hay day game, any way to hack it? Please find a solution for the video call button in contact view to be able to launch Google Duo app. While disabling the ads, the mod for some reason disables the video call button as well. I always uninstall and install Truecaller updates, but in this current version (9.10.7) I’m trying to put my phone number (home page) and it only shows that I have exceeded the attempts and I have to wait 12 hours. After 12 hours I try again and the same problem occurs again. I can not use version 9.17.8. I installed and after that, I can not open the application because it says “Truecaller is experiencing problems incessantly”. And it automatically closes. This version is not usable. [Pro] or [Mod Lite] ? Latest modlite doesnt work, 10.8.6.? The latest version 10.15.6, works like a charm on my Pixel 3XL. Thank you so much. Can you patch this appl please. Real caller public premium plus. shortcut, shortcut everywhere, something is wrong on this app. It is the latest version but there is a small problem with the patch, every time that Truecaller opens it creates a shortcut for messages and contacts. Personal settings are reset each time the application is opened. I do not know who patch the application but he always did it well. Apkmos also patches this application but the bad thing is that if you copy a number the application does not detect it instantly and it takes time to search. Please can you fix the video call button not working? Ideally it should place a video call over google Duo but it doesn’t work in the Mod and this issue has been constant through all the releases. If this is unsolvable then can you at least map the video call button to placing a native video call over 3G or LTE which is in the drop down menu on the top right corner of the contact info page? I think 10.16.8 is the latest version according to apkmirror. 10.26.8 is the latest version in the Play Store.